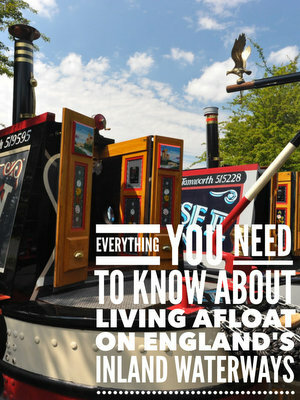 This is the second of two articles exploring power generation and use on board narrowboats. The first part is a very detailed look at batteries. You can read it here. Generators come in different types. The petrol hand pull type, and the more expensive “suitcase” type which are now very quiet. These are very useful but great care must be taken with petrol storage and use – fumes dropping into the cabin from a generator being filled on deck combining with the gas cooker being on have caused many an explosion – so always fill on the bank! These output AC mains 230V which you simply run from the plug on the generator to the socket on the back of the boat. The boats electrics see the power as a landline (you may have a transfer switch that will need to be set to landline position). All your 230v sockets will work as normal, though you will only have the maximum output that your particular generator has to offer. A small generator is typically 1000W and a larger one maybe 3000W, so you do need to choose a generator that will run everything you have on board. If you have a washing machine you will probably need at least a 2000W generator and probably a 3000W. Really importantly, don’t forget that when your generator is running to turn the mains battery charger on too! You may as well get some valuable charge in while the washing machine is on! This is where having a smaller output charger might be a benefit as it will run happily on a lower powered generator- some of my customers have two chargers – a big one when on shore power and a smaller one when using the genny. Most generators do have a 12V charging plug as well, but they generally only output a low taper charge of about 6 amps so you are far better off using the mains output to run your 3 step charger instead. These offer all the benefits of the petrol generator but are built into the boat, enclosed in a sound proof capsule and start by pressing a button inside the boat. I have one of these and it works very well. The usual practice is to “save up” things that require a lot of power and do them all at once when the generator is on. So I generally do the washing, vacuum the boat and run the immersion heater to heat my water, and of course put the battery charger on at the same time as watching the television! You get into a routine really quite quickly. A/C Mains generators mounted on the main engine like another alternator. This is actually another alternator on the boats main engine but it outputs 230V mains which is fed into your system through a transfer switch (see below). They are usually 3500 watts and are quite expensive (around £2K). They basically allow you to run heavy 230v loads while the engine is running without having to use the batteries and an inverter. Now this is the important one and a great source of flat batteries if used incorrectly! An inverter is a device that takes your precious 12V power from the battery bank and converts it into 230V mains electricity which is then fed into your boat through a transfer switch (see below). It sounds great doesn’t it? Mains power with no noise coming from nowhere by magic! However, beware – generating mains this way is VERY costly on battery power. Let’s take an example…. A boater has an electric kettle (bad idea!) that takes 3 minutes to boil and consumes 3kw of power to do so. The boater has a 3kw inverter on board so that’s all fine – it will work! However if we do the sums 3000W divided by 12V = 250 amps -that’s a massive amount to draw from the batteries and remember leisure batteries DON’T like a high current draw. So we have a general rule of thumb here. Avoid using an Inverter to run things that heat up as they all consume VAST amounts of power. 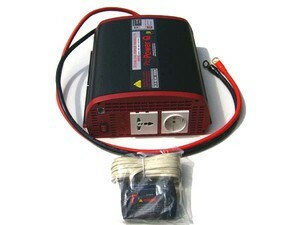 The inverter should be used for light duty things like entertainment equipment and such like. If you are in a position where you need to run the washing machine and don’t have a generator of any sort but do have a big inverter then the rule is you MUST run the engine at the same time as drawing that load so that you are at least putting the bulk of the current back in AS you draw it out through the inverter. It also pays to have one of the alternator controllers I mentioned earlier to optimise the charge going in. In fact if you have a big alternator, a charge controller and a decent inverter coupled with a decent sized battery bank then you have kind of got all the benefits of a portable generator BUT you are still running that big main engine, that’s where generators score as they are small engines consuming much less fuel and much quieter. The other golden rule with inverters is to switch them OFF when you don’t need 230 power. They all consume valuable power (around 2 amps typically) just sitting in idle mode, though some new inverters do have a standby function that reduces this I would still adopt the mantra of if you don’t need it right now TURN IT OFF. That goes for ANY device on board not just inverters. I mentioned that your portable generators just plug into the landline, but if you have a built in one and an inverter there must be some way of separating these 230V power sources in case you were daft enough (by mistake of course!) to have them all on at once! This is done using a Transfer Switch. This is usually a manual switch with either two positions (Land line, Inverter) or three (Land line, Inverter, Generator). So you select your power source then either plug it in or switch it on depending on what the power source is. Some newer boats have automatic transfer switches that will detect the incoming mains power source and select accordingly. Tips and Tricks for getting the best out of your power system. OK, this is a critical bit of the article – there’s lots you can do both technology wise AND with the way you think about and use power that can make a huge difference for those of you living without that marvelous landline plugged in like a soothing umbilical cord! Part of living afloat, if you’ve recently come from land is changing your whole thought process of how you live. DO have a12V fridge, and if you really must, a 12V freezer. I have a combined 12V fridge freezer that fits under the counter taking up the space of a normal fridge. Obviously the fridge is smaller but it has an 18 litre freezer compartment with its own door. Advantage: only one compressor to run and takes less space! Many new built boats have a 230v mains fridge – great if you are plugged in but a nightmare to live with on the cut as you have to have an inverter on with all the loss that goes with it for 24 hours every day! Change your lighting for LED bulbs. This is a relatively new invention. LED lights now give fabulous light output in a nice warm tone, but with a fraction of the current draw. If you have say fifteen 20W halogen lights on your boat, when switched on they will draw 25 amps. That’s a huge amount! Replace them with LED bulbs. You don’t have to change the fittings. You will draw around 2.25 amps for a similar level of brightness. For further technical information on LEDs go to www.baddiethepirate.co.uk Note that you can also convert favourite table lamps from 230v to LED and 12V. -You really can’t tell the difference when they are lit! Try to minimise use of an inverter to an absolute minimum – try to run as much as possible on 12V power. There are many good 12V TVs these days for example. What about laptops? Most are a voltage of around 18 or 19 volts but they do vary. As a result most people switch the inverter on to run them. If you are working from the boat this might mean the inverter is on all day – not good! It is possible to buy from shops like Maplin or indeed on line a 12V charger. This takes 12V from your boat and steps it up to the required voltage of the laptop. Be careful with other bits of equipment that run on 12V but normally have a mains adapter. They will likely not like the variable nature of boats voltage (between 14.4 and 11.5) if you just connect them directly to the 12V but it can be done using a voltage stabaliser unit. This sits in the power line to the device and ensures it always gets exactly 12V. Please contact me for further info. So there is one critical message in here. You need 12V sockets throughout the boat! Interestingly older boats tend to have them while newer boats only have 230V sockets backed up by a big inverter, in which case I would advise having some 12V sockets fitted. 12V sockets are either 3 round pins so you can put a plug on the end of your old 230 table lamp and plug it into the 12V socket, or the car cigar type. They are however invaluable. I have three in the saloon dotted around, one in the galley and one in the bedroom. Have solar panels (see my last article) these provide a low amp charge but plenty to cover the use of a fridge and lighting and make a REAL difference to life afloat. I recommend them highly! If you use the inverter to run the washing machine, make sure the engine in running and consider an alternator controller to improve the charge. If you use an inverter beware of the silent battery killers! Most common problem is many boats have electric water heaters (immersion heaters), great when you are plugged in, but if you “accidentally” leave it on when the inverter is on it will silently drain the batteries VERY quickly! It’s another good reason to have a monitoring panel. When I switch my genny off I always glance at the panel to see if its drawing an unusually high amount as it is so easy to leave something on by mistake! The other killer is leaving the battery charger on when the inverter is on. This most commonly happens when the generator has been running and the charger quite correctly switched on to get a bit of charge, then the boater switches over to inverter when the generator is turned off leaving the charger on – well you can’t charge batteries from batteries can you?! So all that happens is they drain down fast trying to! I encourage new boaters to write a check list to help get into the routine – it doesn’t take long but saves you the heartache of running out of power prematurely! If you decide to have a portable generator, make sure it is big enough to run the heaviest load, and make sure your battery charger is switched on when the generator is on for another reason. DON’T even consider having an electric kettle or toaster unless you are plugged in at a marina. If you are off grid then use the gas cooker! In the winter I have a kettle on top the stove all the time so I always have a bowl full of hot water when I need it. Remember – if you are not using it SWITCH OFF most importantly if you have been using the inverter to say run the sewing machine, don’t just turn the sewing machine off when you’ve finished, turn the inverter off too! In a later article I may well talk all about heating and water so watch this space! OK what would I do with an unlimited budget? Of course you would struggle to achieve all of these goals. I know I haven’t achieved them all but it’s important to aim for perfection! I hope this article has been of interest, anyone who has specific questions please feel free to email me at tim@onboarsolar.co.uk I can supply and fit any of the systems talked about as well and a lot of my work is taking a boat and just adding the bits and providing the knowledge to make it better! My full contact details are on my website www.onboardsolar.co.uk I am considering the following future articles, any feedback you can give with regard to this OR suggested other articles to do with the technical side of boats would be welcome. 1. Wiring up your narrow boat – what are the issues? A great book for those wanting deep technical stuff!